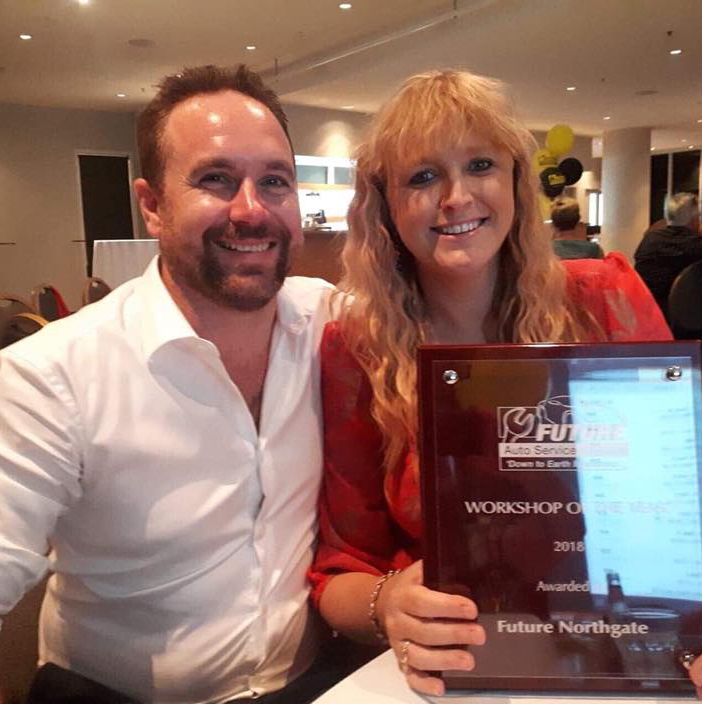 Future Auto Northgate was awarded 2018 Workshop of the Year at a Gala Awards ceremony held on the Gold Coast in November. Dudley Leighton, owner of Future Auto Northgate, was thrilled to receive the award, which has come after a year of big changes at the Toombul Road service centre. “After some time planning, we completed a number of significant improvements in 2018 including renovation of the building, expansion of the workshop from 4 bays to 6 bays to cope with increasing demand, upgraded tooling, and improved processes to ensure a better customer experience,” says Dudley. Dudley and his team, who have been serving the local area for over 25 years, received the award for excellence in customer service, local community support, and their contribution to the Future Auto network. “We want to cement our position as the best workshop by providing quality, affordable solutions for our customers,” says Dudley.